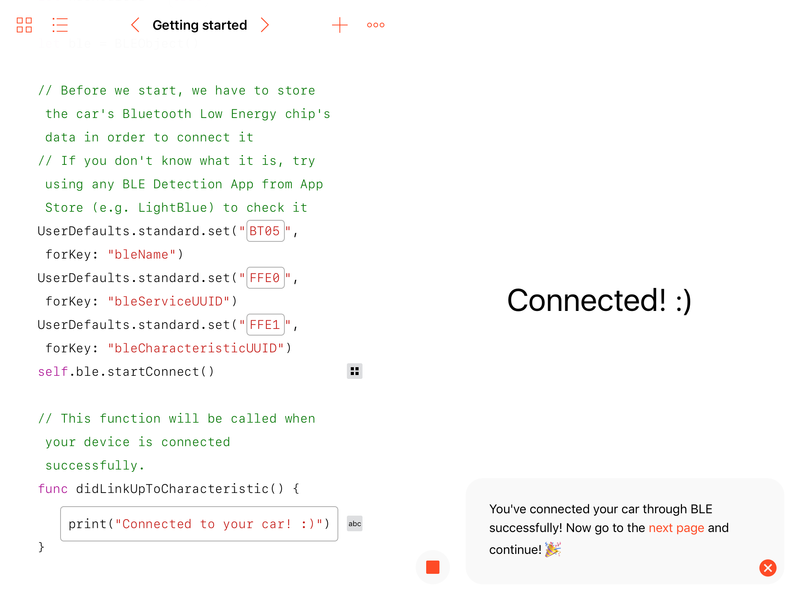 A Swift playground book that teaches you Swift language by letting you operate an Arduino model car through Swift code. 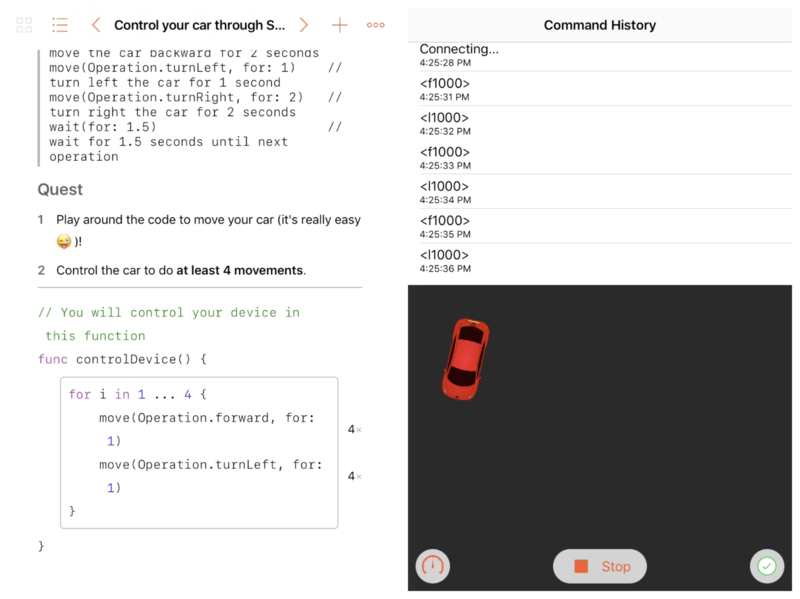 Teaches user Swift (a programming language by Apple) by letting them operate Arduino model cars through Swift code and Bluetooth. 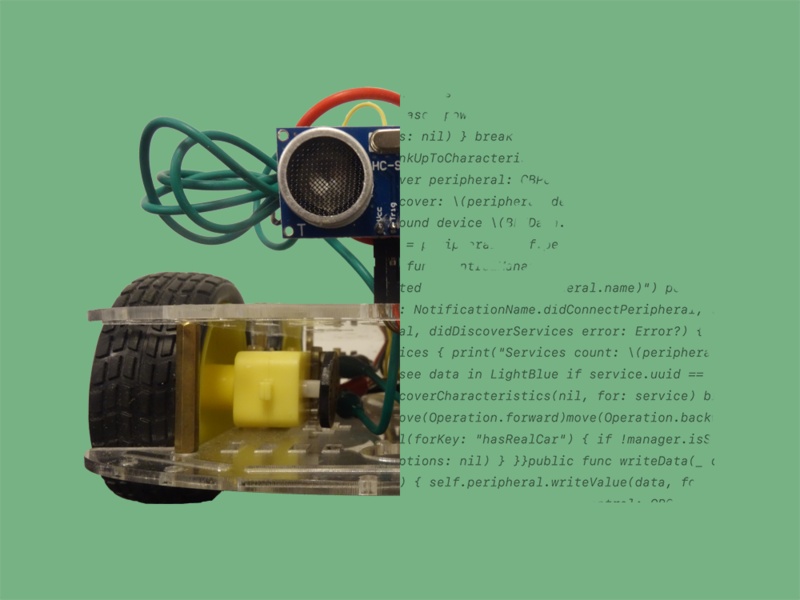 Aims at teaching the general public the concept of programming as well as the concepts of debugging and testing. Awarded a WWDC 2017 Scholarship.